Our camper-to-staff ratio here at Birch Trail is 2.5 to 1, giving each camper comprehensive, attentive care from carefully chosen people who love working with kids! We are looking for people who are sincerely interested in working with children for an extended period of time. We want staff members who are patient, understanding, sensitive and nurturing. These intangible qualities are hard to find and harder to measure; our experience has shown that we need to interview at least 10 applicants for each staff opening—our commitment to excellence offers no shortcuts when it comes to our campers' physical, emotional and social needs. The hardest job you'll ever love, working at Birch Trail will offer opportunities to get back to nature, make lasting friendships, earn valuable career experience and—best of all—have tons of fun! Our hope when we hire someone is that we have made a perfect match; the best staff member is someone who is happy to be at Birch Trail, loves children and is full of energy. If you are at all interested in being a part of the Birch Trail team, take a moment to fill out the short application and we'll be in touch with some more comprehensive information about spending your summer at camp! We think that people committed to kids—to the long hours, to the silliness, to the chaos, to the structure, etc—all carry a precious piece of DNA. Our staff members are people who thrive on the benefits of making a positive difference for kids. How do you know if you are right for camp? We are looking for people who really love to be and work with kids. What if you're great with kids but you don't know what you could teach for activities? No Problem! We can teach you how to sail or how to make a clay pot, but we can't teach anyone how to truly accept, support and nurture a child. Our campers and staff come from cities all over the United States and different parts of the world. This geographic diversity among campers and staff is very special to us. Where else can you form a community based on common goals, practice respect, and gain appreciation for the unique differences of many individuals? "The best summer of my life! I got to meet so many great people, spend an entire summer on a lake and in the wilderness, helped kids learn new activities and overall just a rewarding job!" "You should totally do it! It is an amazing experience to teach you kindness, fun, and patience." "It is the most exhausting, rewarding, and enriching experience you can have in nine weeks." "Camp provides an excellent environment to just be yourself and have fun while working with kids." "So much fun being outside practically all the time; a constant adventure and learning process; high energy and getting the chance to dress up and act weird in ways that are never accepted in the real world; but still definitely work and tiring!" Staff orientation is your time to learn how to do your job at camp. Because the work you do is so important, our orientation period is over eight days long! Each job in camp requires special training, and because we all arrive at different times and do different jobs, training will differ as well. Wilderness trip leaders, for example, will spend time with our trip director exploring the wilderness areas our campers visit. Counselors will participate in team-building progressions and learn about daily life at camp, while kitchen staff will be guided by our kitchen manager, and so on... Working together (and having fun all the while), we will become a team and our new skills will enable our campers to have a terrific summer at camp. By the end of orientation, you'll feel like a veteran Birch Trail staffer and you'll be ready to handle anything! "As a counselor, you are there for it all-- the cries, the laughs, the growth of the campers. You are definitely not alone; the amount of support from the directors is endless. " "The hardest yet most rewarding experience." "The best decision you will ever make." Living in an outdoor environment away from a city may be a very new experience for you, just as it is for many of our campers. Chances are that you will see deer roaming through camp in the early morning, along with squirrels, chipmunks, turtles and the bald eagles that nest in a tree behind one of our cabins. You will have plenty of time to orient yourself in camp and get comfortable before it is time to change your focus from yourself over to the campers. Birch Trail (which we refer fondly to as BT) may look and feel different from most places you have been. 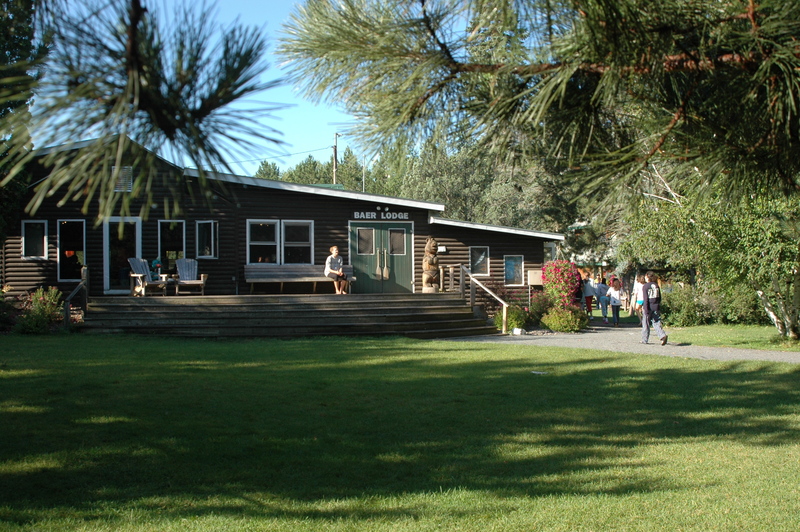 Camp is located on 420 wooded acres, with nearly 3,000 feet of shoreline. We live in cabins; some are new and some are older, though they all share a few things in common: all have bunk beds, a place to sit and read, a beautiful view and a whole lot of character. Cabin counselors have space separate from the girls that is most commonly divided by a wall. All specialty staff members live in staff housing and though they may not eat with a cabin, they are still expected to attend all meals. When time permits, specialty staff members participate in other camp programs and tasks. Bathrooms? This may be a new experience for you! All three of our wash houses have recently been remodeled and there is one located in each of the villages. Before camp begins, we will send you a packing list so that you have a good idea of what to bring to camp. On a typical day someone might throw on sweats for breakfast, change into shorts and a tank top or t-shirt by mid-morning and cover-up with a sweatshirt or jacket for evening programs. But don't fret—the weather is wonderful so we don't need air conditioning and the lake temperature is just perfect on most days! "I have told a lot of my friends since coming home that being a camp counselor is one of the most exhausting, yet rewarding experiences you can ever have. There are times of frustrations and trying to deal with your own feelings plus those of multiple other girls, but you become so much more mature and patient." "The feeling you get when you receive a letter from your former camper- that says "you have changed my life"- is indescribable. You feel proud of yourself for what you have done. " "You’re paid to have fun and make sure others are having fun too. You also get to experience things you may have wanted to do such as learn to canoe, sail, play tennis, or make pottery. You meet people from all over and its just a great experience." "Camp could be best described as an extremely challenging but rewarding experience. It is definitely a full time commitment, but a time where you can have so much fun and do so many things you have never done before." Our campers range in age from eight to 15 years old. 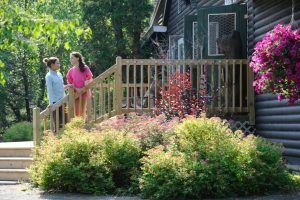 At camp, 3rd-6th grade girls make up the Maple Village and 7th-8th graders comprise the Linden Village, leaving the 9th-10th grade girls in the Tamarack Village. "With the continuous help and support from the directors, I have built a whole new confidence level. The whole atmosphere is super friendly and the directors' offices are always wide open for staff and campers alike! Their positive feedback and words of encouragement have transformed me into the counselor I am today. I have loved every minute of it!" "I would say that camp might not seem like hard work, but it is! You have so much fun and get to play all day, but you're also responsible for a bunch of young girls 24/7. But, if you put in the work it can be incredibly, rewarding, and memorable. Not to mention, the great relationships that you form with your fellow staff members." "It's really an indescribable experience. It seems like such a trivial thing to do to an outsider, but the impact that you can make on an individual at camp is incredible." Every cabin group at camp goes out of camp on a wilderness trip. These trips are lead by folks we call "trippers." The youngest girls will go to state parks in our area for three days, while older campers will have the opportunity to take three-day river and hiking trips. The oldest girls in camp can select from a more challenging menu of wilderness experiences, some lasting up to eight days long. 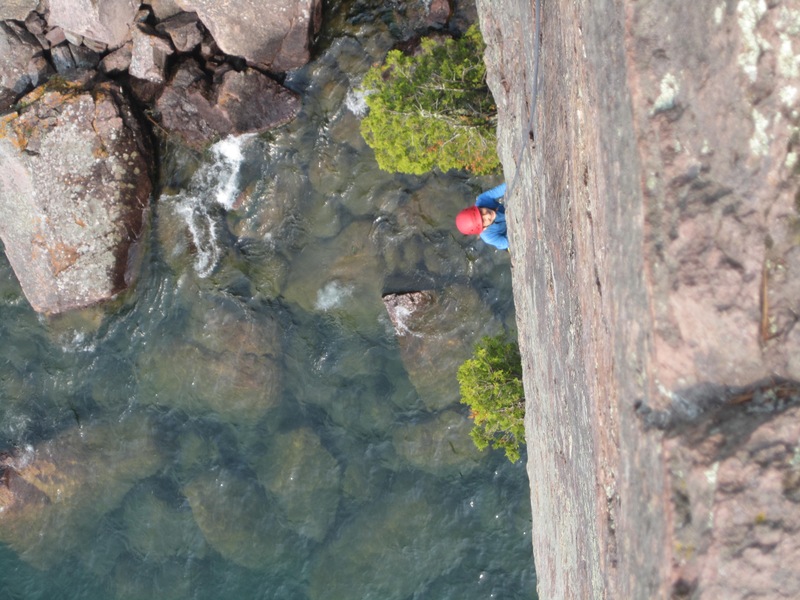 They may head to the Boundary Waters National Canoe Area, hiking on Isle Royale, or the Apostle Islands to sail. Are these "survival" trips? That depends on what you mean. We believe in minimal impact camping through trips that are well-prepared, well-led and properly equipped. We want everyone to learn, enjoy and anxiously await their next trip. In most cases, one counselor from each cabin will assist on the trip. We will ask you at the beginning of the summer if you like camping trips. Counselors staying in camp while their cabin is out are often assigned to other duties during their "free" time.